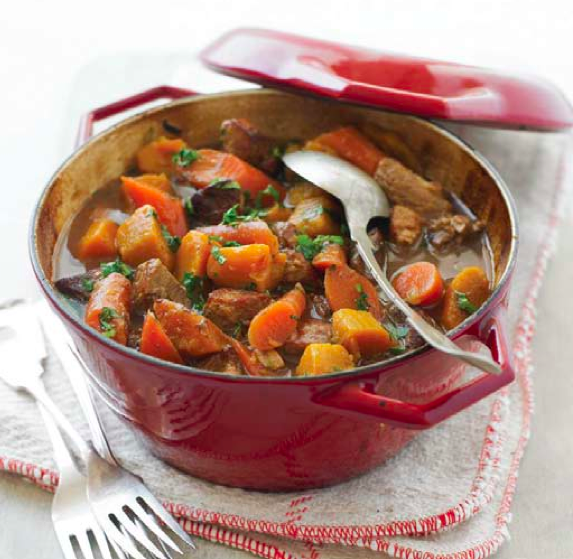 Very delicious ragout cooked in slow cooker. Oven baked tarragon chicken with celery and mushrooms. Chicken breasts with vegetables and herbs cooked in turbo oven . Very delicious and healthy recipe! In a dip dish,combine tarragon,dry white wine,garlic and celery.Season with salt and black pepper and toss well. Place in chicken breasts and brush them with vegetable oil. Preheat turbo oven to 475 F (240 C). Set the dish on the rack in the middle of turbo oven and cook in preheated oven for 10-15 minutes or until chicken breasts are lightly browned. Turn the chicken and continue cooking for a further 10 minutes or until skin is crisp. Remove oven baked chicken from turbo oven and transfer to serving platter. Add chicken stock and sliced mushrooms to the dish and cook until liquid is bubbling and mushrooms are cooked through. Spoon the sauce and vegetables over baked chicken breasts and serve immediately. 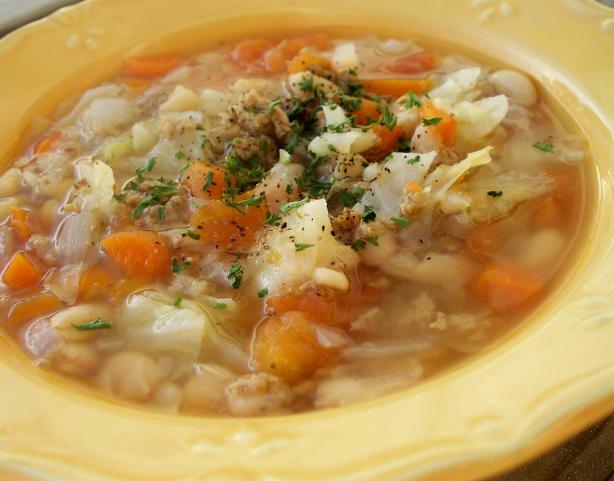 Easy recipe,few ingredients for full-flavored slow cooker vegetable beef soup. In a large nonstick skillet cook ground beef until brown and drain off fat. Place meat in a slow cooker.Add the remaining ingredients to the cooker. Cover and cook on low-heat setting for 7 to 8 hours. Easy to prepare this delicious chicken breasts,rice and citrus sauce. In shallow dish combine flour, the ¾ teaspoon salt and pepper.Mix well. Coat chicken breasts with flour mixture. Discard any remaining flour mixture. In a large nonstick skillet preheat vegetable oil. Add chicken breasts and brown over medium heat for 20 minutes, turning occasionally. Remove cooked chicken from the skillet,reserving drippings.Set chicken aside. Add chopped celery and onion to drippings in skillet and cook,stirring 3-4 minutes. Gradually stir water,rice,ginger,remaining ½ teaspoon salt,allspice and turmeric into cooked vegetables. Increase heat to high and bring vegetable mixture to a boil. Add chicken pieces,then reduce heat to low and simmer,covered,for 20-25 minutes or until rice is tender and chicken no longer pink. Top with lemon slices during last 5 minutes of cooking. Sprinkle snipped parsley over chicken mixture. Squeeze warm lemon juice over chicken and serve immediately. In slow cooker combine all ingredients. Stir in the water. Cover and cook on low-heat setting for 12 – 14 hours. Strain stock through a large sieve. Delicious chicken kebabs with tikka malasa paste cooked in turbo oven. In a mixing bowl,combine diced chicken and tikka masala paste. Remove marinated chicken from the fridge and thread onto soaked wooden skewers (or metal skewers). Preheat turbo oven to 400F (200C). Place chicken skewers on the grill rack and cook, turning,for 15-20 minutes or until chicken is done. Delicious and popular Buffalo chicken wings with hot chili sauce and blue cheese dip. Rinse chicken wings under running cold water and pat dry with paper towel. 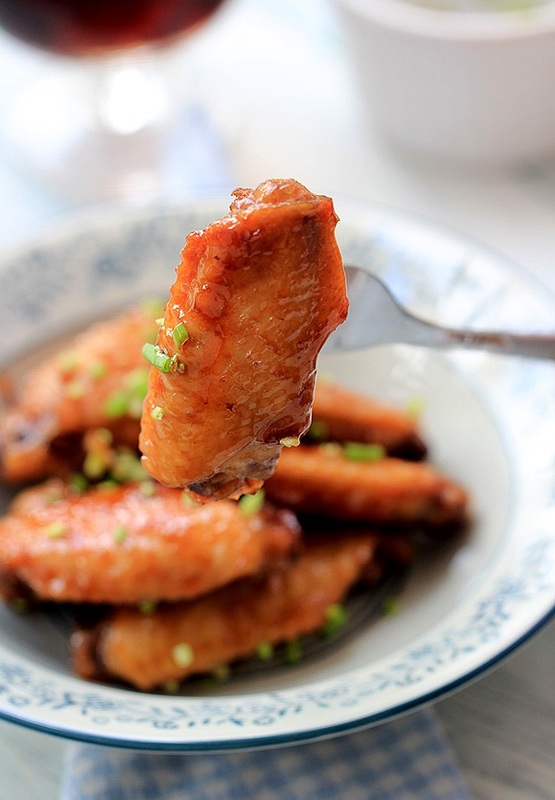 Arrange chicken wings in an one layer on the unheated rack of a broiler pan. Broil 4-5 inches (10-12.5 cm) from the heat for 10 minutes or until chicken wings are brown,turning once. Transfer cooked chicken wings to slow cooker. In a mixing bowl,combine chili sauce and hot pepper sauce.Mix well and pour over chicken wings. Cover slow cooker and cook on low-heat setting for 4-5 hours. In a blender,combine 8 oz (240 ml) dairy sour cream,1/21 cup (125 ml) mayonnaise,1/2 cup (125 g) crumbled blue cheese,1 clove garlic(peeled and minced) and 1 tablespoon white wine vinegar. Preheat oven to 350°F. Line a mini muffin pan with 18 paper liners. Set aside. In a small pot, combine the butter and chocolate. Melt over medium-low heat, stirring frequently until everything is melted and smooth. Pour into a medium bowl and add the sugars. Mix until no lumps remain. Allow bowl to cool slightly, and stir in the egg and vanilla. Mix until completely incorporated. Add the flour and stir until completely combined. Spoon mixture into lined mini muffin trays, filling no more than ⅔ full. 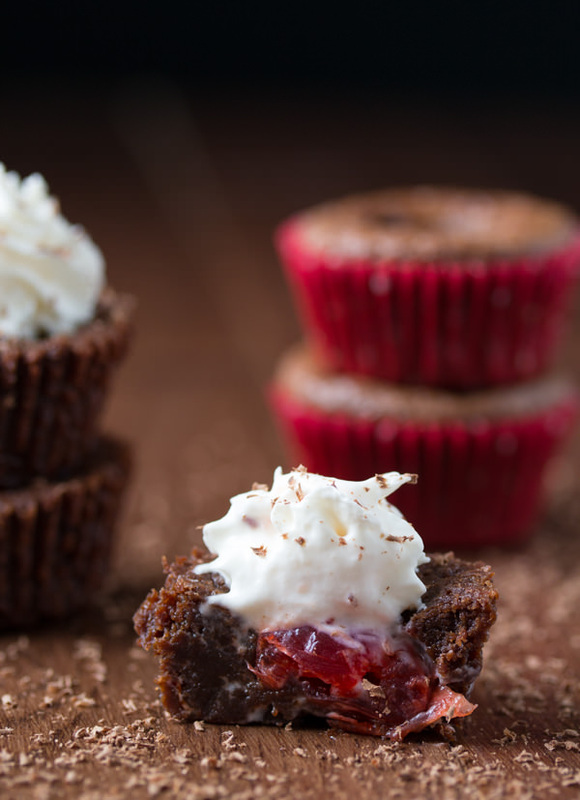 Press a maraschino cherry into the middle of each brownie. Bake for 10-12 minutes, until a toothpick comes out cleanly from the side of the brownie. To serve, top with whipping cream. Brownies will keep up to 5 days in a sealed container. An excellent appetizer,very easy to make.! This delicious recipe belongs to Fine Italian cuisine.